Is Fluoride Bad for Toddlers? 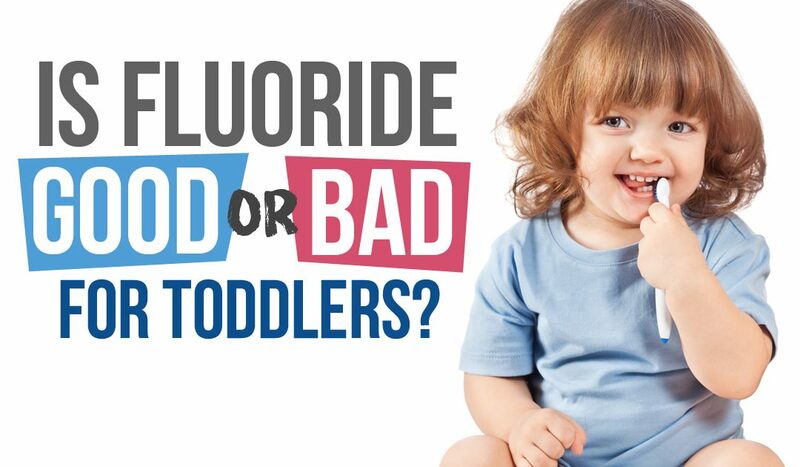 A lot of parents want to know “is fluoride bad for toddlers“? Following a change in guidelines from the American Dental Association a few years ago, the question whether fluoride toothpaste is safe for young children continues to circulate among parents and dentists. For years, the ADA recommended that parents wait until age 2 to start using fluoride toothpaste with their children. However, that recommendation changed in February 2014, when the organization said parents can begin using a “smear” of fluoride toothpaste as soon as teeth begin to show. Why would the ADA change its mind after decades of a standard policy? What does it mean for your children? Many of us take in fluoride naturally through the water we drink, but not all parts of the country require that fluoride be part of the drinking water, and more and more families are choosing bottled water, which in most cases does not contain fluoride like tap water does. Groups like ADA have long recommended brushing teeth and seeing a dentist as early as age 1, but parents tend to be undereducated in this area or they give in to toddlers who do not like brushing their teeth. The 2014 change by the American Dental Association brought its recommendation in line with the American Academy of Pediatric Dentistry, which has long suggested the use of fluoride toothpaste as soon as teeth begin to show. The change also came after research showing an increase in cavities among preschool age children noted by the Centers for Disease Control. In some cases, the problem was so bad that children needed to be placed under general anesthesia to have cavities filled in half of their baby teeth or more. The hope is that introducing fluoride toothpaste into the equation earlier will help reduce the number of cavities in young children. The ADA recommends that children spit out the toothpaste after it’s applied to their teeth to avoid developing fluorosis, a condition that results in a tooth’s enamel changing color due to too much fluoride exposure. Of course, this is easier said than done with a small child. Starting early and reinforcing good habits will help put them on a path toward success. Still wondering “is fluoride bad for toddlers“? Even though baby teeth do eventually come out, it can be years before that happens so it’s important to get cavities taken care of at a young age. The pain associated with cavities can often be mistaken for teething; don’t let that deter you from taking your child to a dentist as soon as he or she starts talking about any kind of mouth pain. Designed by SSIT Solutions | All rights are reserved.